Due to prohibition, nature often finds itself an “externality” of the drug war. 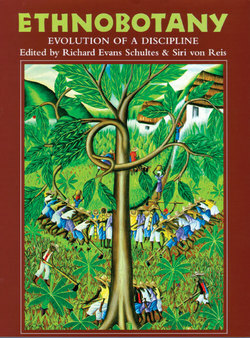 Certain chapters of this book are required reading for the classes we offer www.ecfes.org for good reason. Much can be understood about people living under the Controlled Substances Act of 1970 thru an ethnobotanical lens.. We call this area of discourse “The Ethnobotany of Prohibition”. Millions of Americans now cultivate relationships with some of Nature’s most healing plants, however, clouded their experience remains, under the “umbrella” drug war which hovers overhead, despite the slow societal progress on these matters. We invite readers to experience the tactile difference between e-book reading through the “digital” screen and checking out this gorgeous, uniquely-sized book printed by Timber Press that lends itself to an exceptional reading experience. A paper quality of curious composition invites readers deeper still. See you in class! Plants are described in this book as more than mere molecules and compounds, but as a synergistic interplay of intelligent cellular biology. 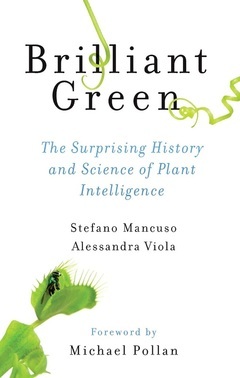 Following in the tradition of making the cases for Plants as Sentient; Sefano and Alessandra approach the topic from a decidedly scientific viewpoint. Early, and perhaps more organic approaches include Peter Thompson’s The Secret Life of Plants: a Fascinating Account of the Physical, Emotional, and Spiritual Relations Between Plants and Man Stephen Harold Buhner’s deeply intuitive The Secret Teaching of Plants: The Intelligence of the Heart in the Direct Perception of Nature and Dale Pendell’s Pharmako Trilogy. The modern scientific approach is existentially appealing to both critics and ethnobotanical advocates, in general. Consider that the discussion of Plant Sentience stretches back to Aristotle and Plato’s times (as many topics of important philosophical inquiry do). While without obvious eyes, ears, and other human sensory apparatus, plants are described in this book as more than mere molecules and compounds, but as a synergistic interplay of intelligent cellular biology (and a hard to describe animating force) that appears to be ungraspable in terms of modern scientific understanding. Hence, the birth of the Society for Plant Signalling and Behavior, which now includes a yearly symposium of professionals, a scientific journal, and more scholars approaching the field each year. Did this Elder leave behind wisdom for us to glean about our need to redefine and re-imagine our relationship with Nature? 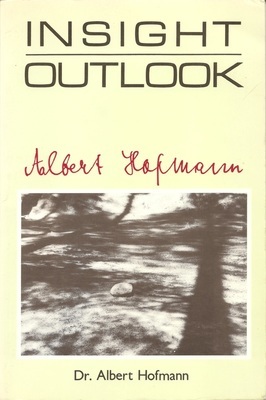 In this Book, Albert Hoffman, the discovery of LSD (an ethnobotanically inspired molecule), reveals a more personal side of himself. He shares with readers his sense of mystical union with Nature. His sense of Divinity in the Nature. What happened to Dr. Hoffman as he walked through the German forests of his childhood? Did he see elves and fairies? We learn that Dr. Hoffman was a concerned nuclear activist, and leaned towards the notion that our technology was far outracing and outpacing our moral development. Did he think LSD alone could provide the solution to the human dilemma of over-population, resource depletion, and the threat of species extinction? We are now 50 years into the LSD narrative, and the planet is for all intents and purposes, under siege. Did this Elder leave behind wisdom for us to glean about our need to redefine and re-imagine our relationship with Nature ? Understanding the genuine position of ethnobotanicals and psychedelics in society today. Is there a difference between religious freedom and spiritual freedom? Is there a pressing need to begin a wide range of social programs dedicated to healing the millions incarcerated across the country? What are the moral components of the drug war “healing” which is only just beginning? This book serves as another key text in understanding the genuine position of ethnobotanicals in today’s society.. While many organizations today are working diligently to reform the policies around strong psychoactive plants; the road towards genuine institutional change is long indeed. For example, when will insurance companies pay for ayahuasca treatment? When will ccontrol of ethnobotanicals be an “equal access situation”, inherently democratic in opportunity as cannabis is swiftly becoming today (excepting in states which insist on controlling supply through prohibitive measures)? For anyone considering exploring with powerful plant medicines this book offers a staunch point/counterpoint to what many have been taught; from both the above-ground and under-ground cultures of ethnobotanicals, psychedelics, and even the general cannabis culture itself. It is apparent that the Drug War, which shows very little signs of abating under the current leadership, and less from future potentials, is far from over. Indeed this will continue without grass-roots intervention and education. If you recognize the need for genuine freedom in health care, at even the most basic levels, consider checking out this book. It will bring even the educated aficionado to a deeper understanding and set new learners on a distinct, modern path. Included are the outcomes of nearly a dozen clinical research trials. 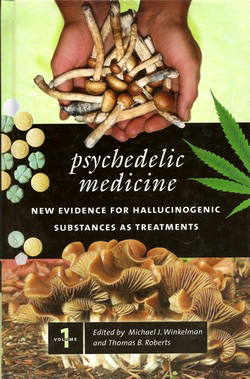 This book is an academic tour de force, that analyzes the evidence which has been collected through the resurgence of psychedelic medicines in scientific studies since 1995. 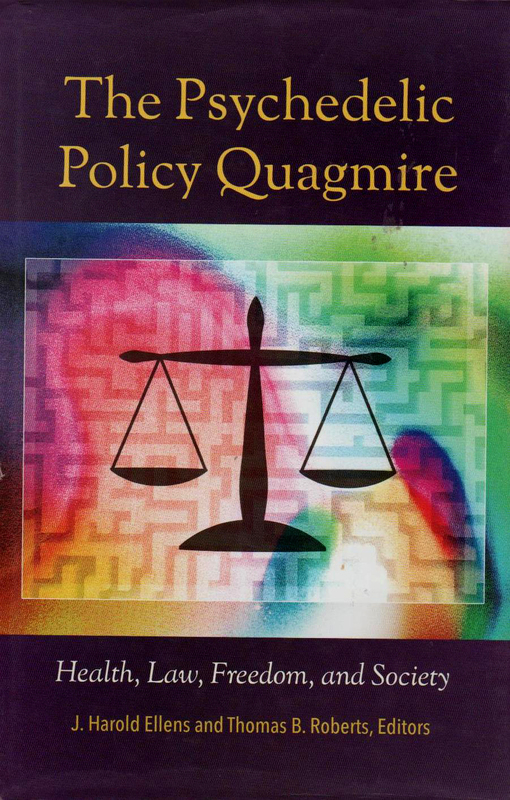 While often and unfortunately under-reported in the mainstream news channels, the editors of this book survey the legal, above-ground research ongoing at prestigious universities across the country. Included are the outcomes of nearly a dozen clinical research trials. Included are topics such as “addiction and despair of the soul”, “ten lessons of psychedelic therapy”, and “new perspectives on the understanding and treatment of emotional disorders”. This book shines as a tool for the university student, medical professional, psychiatrist, and psychologist. Additionally, social service workers who are confronted with challenges in interpreting the use of psychedelics by their clients may find evidence leading them to deepen their understanding of the reason these tools are used recreationally. Often, in an effort to self-initiate the healing process that is often uncorrected by common for-profit pharmaceuticals, especially for low-income populations with access to limited health care choices and in particular, high-quality psychological services. This work is a tome a liberation from within the bonds and chains of a system which has ensnared both hero and villain, and each between. Paracelsus wrote, “Nothing of true value is located in the body of a substance, but in the virtue”. Seldom in literature does a book emerge from a chorus of others clamoring for attention in an over-saturated media-scape. William Leonard Pickard is, for some infamous, for others idolized, and for far to many unknown. 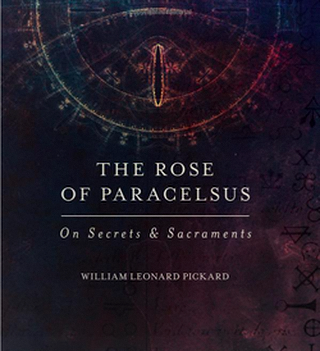 The Rose of Paracelsus marks a turning point in not only the “Drug War”, but in our appreciation of what it means to live admist technological surveillance where privacy is assaulted, future drugs of radical potency still dreams of chemistry have governments on edge, and poverty and the elegance of wealth are laid bare so raw, close together. This work is a tome a liberation from within the bonds and chains of a system which has ensnared both hero and villain, and each between. A net not of our own making, but of push, pull, and circumstance. The radical healing gracing page after page leaves glints of lightning strike crashes on dilated pupil surfaces. Oceans of compassion crashing across the pages. In a world without fear, The Rose is.